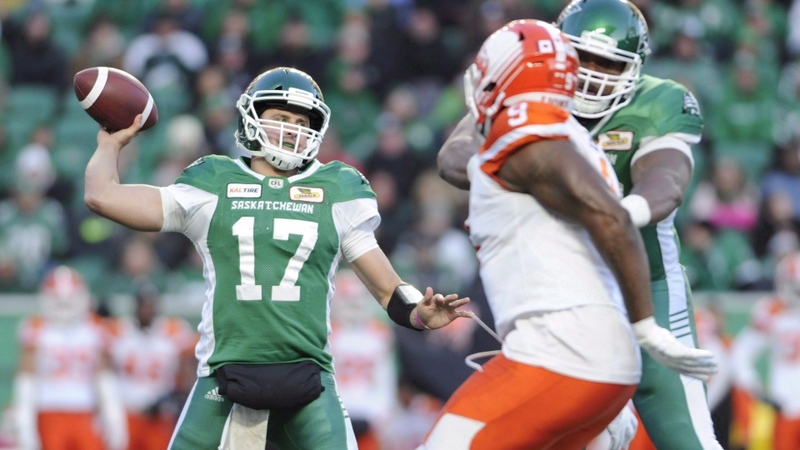 Quarterback Zach Collaros has signed a new one-year contract with the Saskatchewan Roughriders. The Riders acquired Collaros from the Hamilton Tiger-Cats before the 2018 season for a second-round draft pick. Collaros played 14 games in an injury-plagued season last year, throwing for 2,999 yards, nine touchdowns and 13 interceptions. Collaros was removed from the Riders final regular season game and missed the West Semifinal due to injuries. In his seven-year career, Collaros has passed for 16,758 yard, 92 touchdowns and 51 interceptions. Quarterback Zach Collaros has come to terms on a new one-year contract with the Saskatchewan Roughriders.